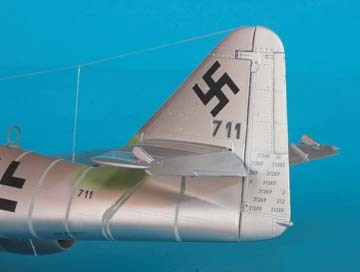 Trumpeter’s models have been improving lately and in this case I would say “this is as good as it gets”. 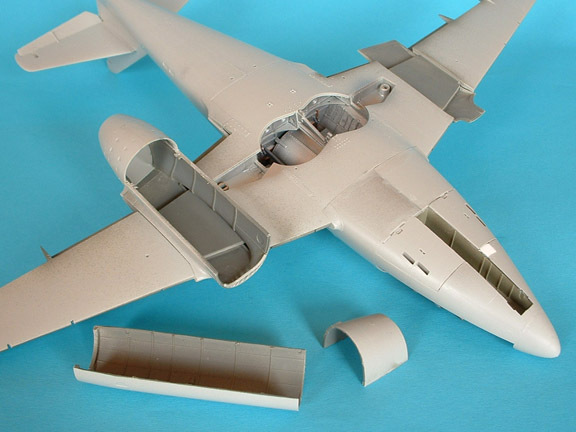 The engineering is almost perfect so much so that the main structures just clip together and need no glue, even the tail planes interlock and fit so tight it is a job to pull them apart. 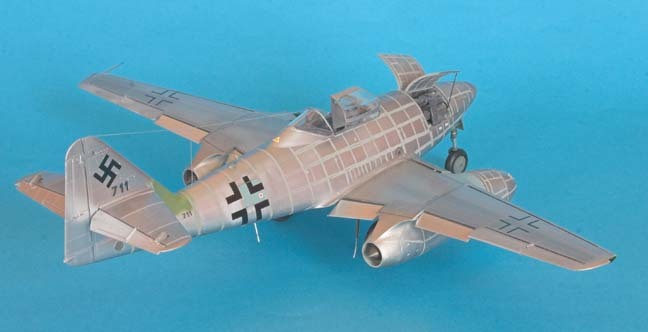 The 262 Schwalbe or swallow in this scale is long overdue; it must be 30 years ago that Revell released their version of the plane which was good at the time and I built it as No 711 the machine that was surrendered to the allies by defecting pilot Hans Fay, this was a bare metal aircraft that just had the rivets and panel lines puttied in and some stenciling, a bit unusual but easy to do. 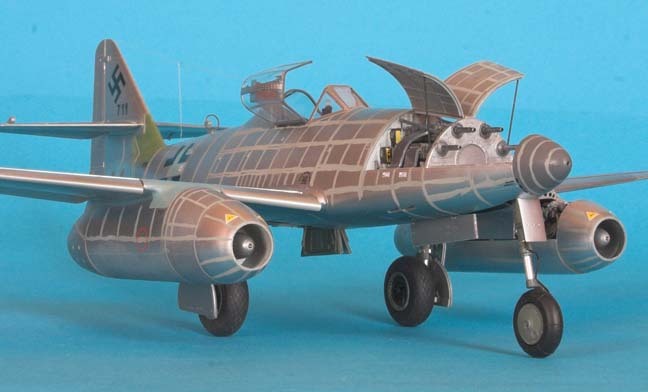 I had destroyed the model many years ago and regretted it so I chose to do a repeat job with this model and with so much more information around it was a must for me. 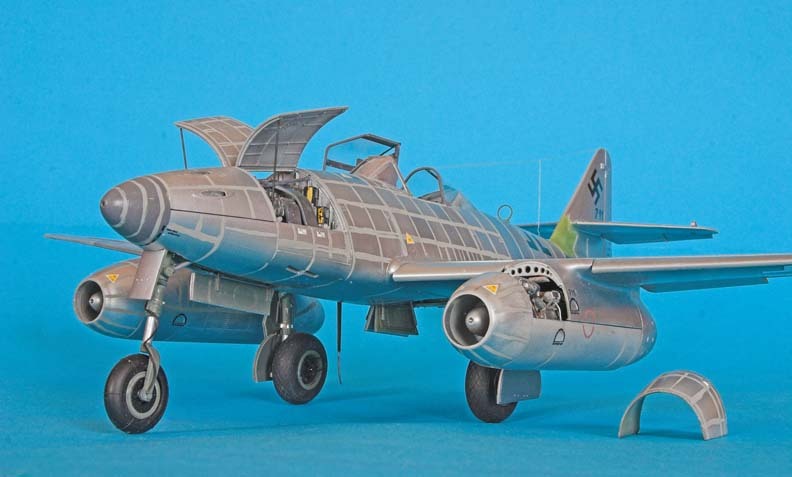 The Kit is an Me 262 A-1a this is a four gun fighter version but the kit contains clues to possible alternative versions, more later. On the whole the parts are well moulded but I did see some tiny amounts of flash on the edges of one or two parts, my copy had a fuselage half that wasn’t completely moulded but I put that right with a small amount of plasticard and all was well, I have heard reports from other modellers about other small complaints in the parts but that must be down to the quality control dept not wide awake. 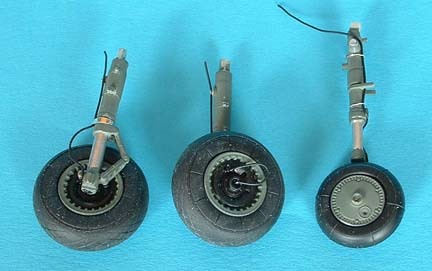 You get a choice of undercarriage legs, metal or plastic and a choice of nose wheels but you only get rubber tyres no plastic alternatives. 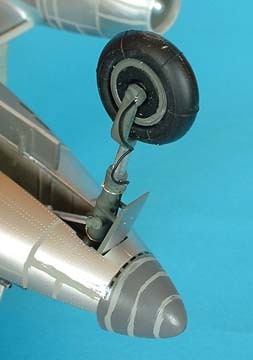 The Engine cowlings frame comes in grey plastic and you get an exact copy in clear plastic which I chose not to use. 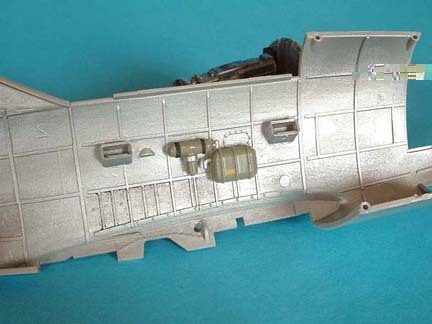 A small sheet of etched metal supplies two sets of seat belts (first clue) which when painted look very nice, Then there is a second gun cover panel with two gun troughs (second clue), two complete engines make up the large box full and at around £30.00 that’s value for money. The instruction booklet has 20 pages of clear procedures, good drawings and plenty of painting notes, I chose not to follow their sequence to the letter but that is a matter of choice for the builder. 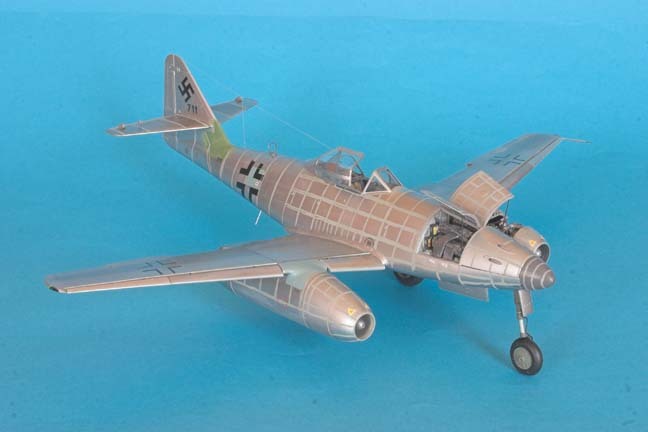 A large coloured artwork sheet gives all the camouflage info and all the decal placements for the two versions on the decal sheet, one for 10/JG7 in April 1945 and the other is Major Walter Nowotny’s white 8 in 1944. Step 2 When you make up the rudder pedals parts D25 add some foot straps with your favourite materiel, the instrument panel is a sandwich affair with film instrument faces these need a white background to show them off properly so I painted the panel part D36 Humbrol 130 silky white the film instruments section is too big to fit the recess so I trimmed it to locate properly. Step 3 The gunsight part D23 is best left off until much later as it can easily get mangled during test fitting etc. Step 4/5 The nose wheel leg has the torque link moulded on and some early machines never had that so check your choice of aircraft if you are using alternative decals, My 711 didn’t have it so it was cut and filed away. The tyres are a very tight fit so a visit to your local tire shop might be in order here. Step 6 A noticeable improvement here is to drill out the ends of the cannon barrels just a small way in, makes all the difference. Step 7..Covers a number of steps to construct the gun bay, part D22 front wall will need the holes for the barrels reamered out a little so the guns fit right home in the recess’s and when that section is finished add the hinge bar for the doors part C31 at this stage before slotting into part D4 wheel bay as this could distort the wall enough to make C31 impossible to fit properly later on. The nose leg can be fitted later in the construction, it’s a tight fit but not difficult but make sure the nose door is attached before you place it as it is almost impossible to fit later. Step 8…Engine build here, the location in part F9 for part F42 needs enlarging a bit the hole is just too small. I built the main parts up first then used various Alclad II shades to colour it before adding all the painted accessories. If you want to plumb up one of the engines there are some excellent photos in a book from AJ Press, Aircraft monograph No9, on the 262. Step 9/10 Part E1 the port nacelle half has a tiny bump on the top surface where it meets the wing that needs sanding off to get a good fit. 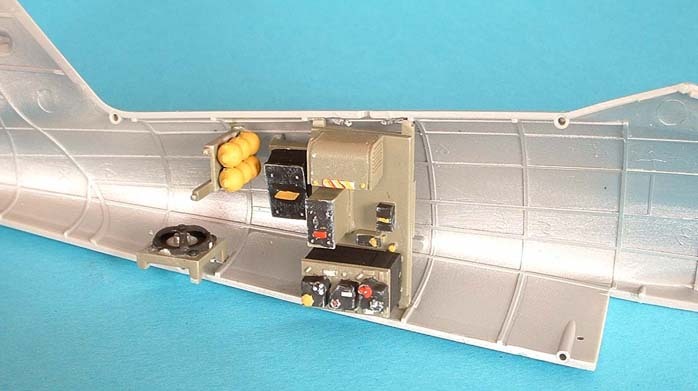 Not mentioned in the text anywhere is the fact that there is a thin cut line inside each nacelle half so you can lift off the front inspection cowling as seen in many photos if you so wish. 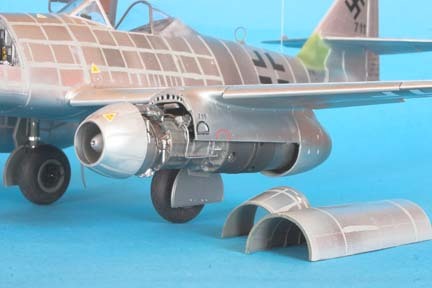 I would suggest that parts E2 and E8 rear cowlings, be added after the whole nacelle is fitted to the wing, could be tricky if done in the shown sequence. Step 19 Make sure that section built in step 11 is hardened off in the lower wing half before adding the wing section to the fuselage as this could distort the dihedral angle and check to see if your machine was fitted with the RATOG bottles before drilling the holes to mount them. Step 20 I found the ailerons and flaps were a tight fit, so I gently sanded the ends of them until they popped in easily I would not mount the inner flaps until after the fuselage was mounted as it also is a tight one. 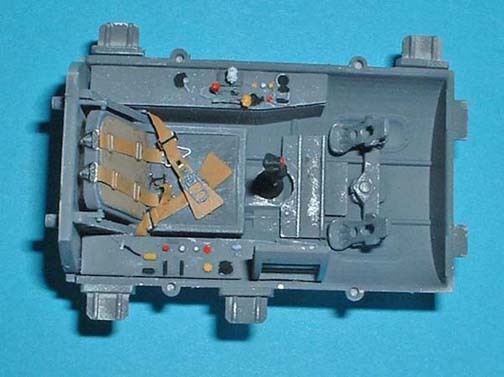 Step 22..The colour instructions call for RLM 02 grey on the interior of the fuselage but I have it on good authority that it should be silver, most certainly around the wheel bay cockpit area. Can anyone verify that? Step 24..Cement all the components into the port half of the fuselage and add the stbd half with no cement to keep the alignment right, tape up and leave overnight to harden. 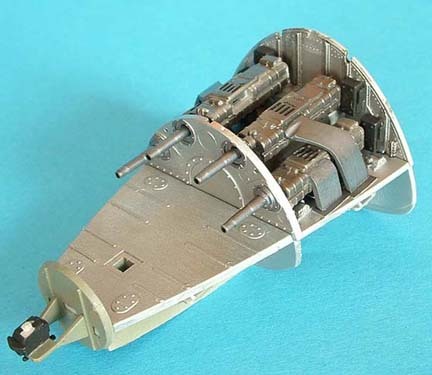 When you open the halves you will need to add some nose weights in the space between the cockpit and gun bay you will need at least 40 gms, I used shotgun pellets poured in and fixed with a drop of superglue and a squirt of activator. Step 25.. On the sides of the fuselage/wing joint area there are two holes, these are for the retraction rams, parts C28, for the main undercarriage legs, to locate into. They will need enlarging a little as they are too small for the pegs, now is a good time to do this. I used a round file to enlarge the gun troughs holes in part C8 for a better appearance. Step 27/28 I have added some brake lines to the legs and wheels at this stage but when it came to adding the doors I found on the port side the long door was difficult to locate on the leg in the locations provided. Step 30.. Those rams for the main gear are fitted here and you will be glad you opened up the holes earlier. 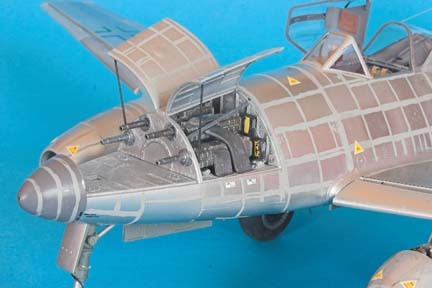 I never added the Undercarriage until all the painting was done and I used the doors to mask off the bays, each held in with a dab of Blutac, If you don’t require the RATOG bottles you can plug the holes with plastic rod now. Step 31/32.. There are some ejector pin marks to be sanded off the insides of the elevators if you want to make a nice thin joint, the tailplanes have very thin ends on them but make sure you sand off the mould gates which are thoughtfully placed on the inner surfaces. Step 35.. 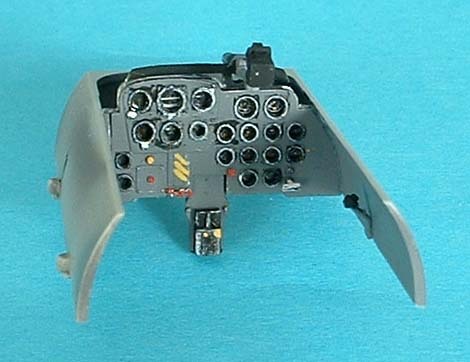 The rear wall of the cockpit part A5, seems to interfere with the rear canopy fit so I over came this by just rounding off the top “shoulder” of the part to match the slope on the canopy itself. 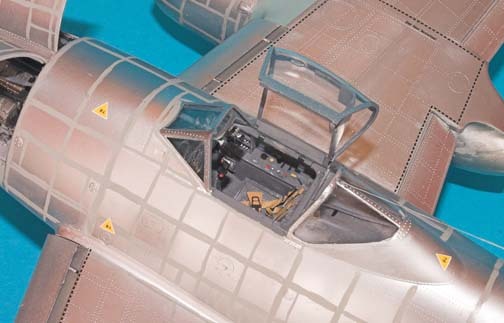 I found a problem on the length of space available for the complete canopy, when the fuselage was joined there was a slight step at the front edge of the forward cockpit area where the canopy fits; it was about 15 thou which I filled with a strip of plasticard to keep the front canopy section level. Later I found the hood and rear canopy were too long to fit in the space provided by about 15 thou, moral here is “don’t fill the gap sand away the excess on the other side until level”. I also replaced the support rods for the gun bay doors with fine flower arranging wire, much neater than the plastic rod supplied and the Pitot tube was made from hypo tubing. 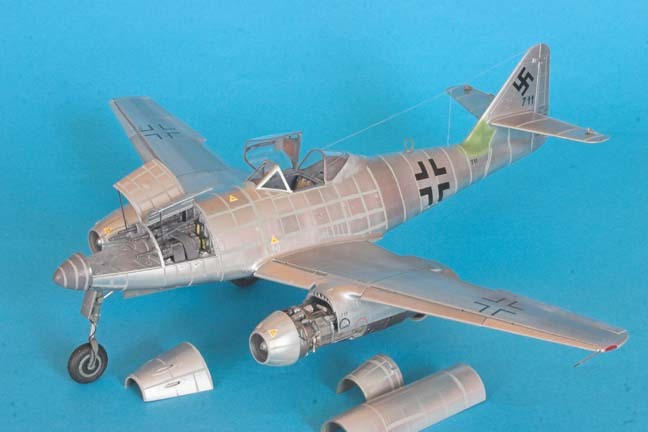 Painting and finishing, various shades of alclad II were used over all and to give further contrasts some areas were sprayed with Revell No 2 mat varnish. The putty areas were done with Humbrol 64 light grey, all the lines deliberately made uneven but following the lines you can see in various reference photos. Some of the decals were from the kit sheet but the rest were from old Hisairdec sheets with the clear decal film carefully trimmed away so there was no silvering on the surface. The remainder, mainly numbers for data on fin were set up on my computer and I printed them out on Experts Choice decal paper by Bare Metal Foil, in a very dark grey colour not black. 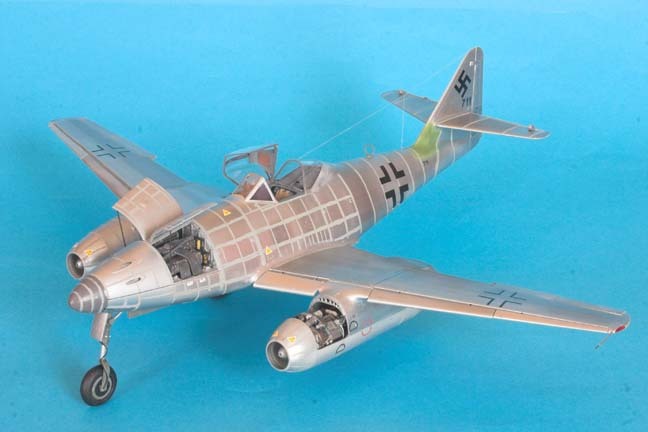 I have to thank Eagle Cals decals for the information supplied in their excellent 1/48th scale decal sheet EC #29. My conclusions on this build are that this is definitely a value for money kit and despite my comments here they are only nit picks. 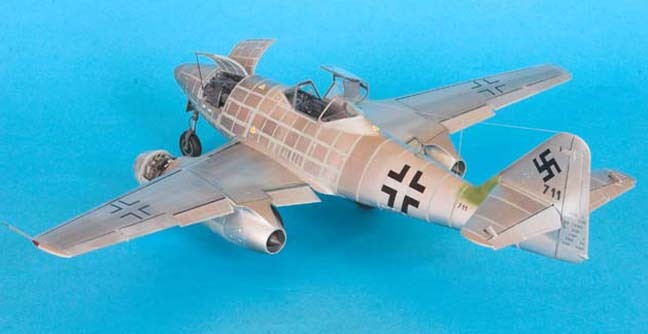 An excellent chance for you large scale Luftwaffe fans to excel here and to look forward to some other versions I hope. I am very pleased with the model.